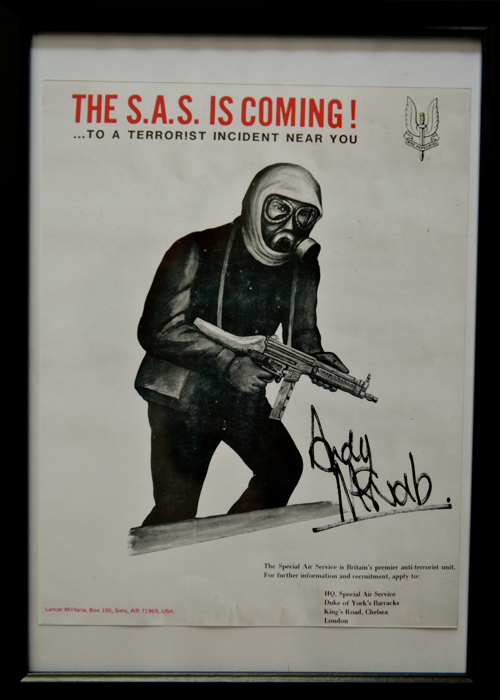 Sergeant Andy McNab DCM MM (born 28 December 1959) is the pseudonym of an English novelist and former SAS operative and soldier. In addition to Bravo Two Zero he has written two other autobiographies and a number of fiction books. 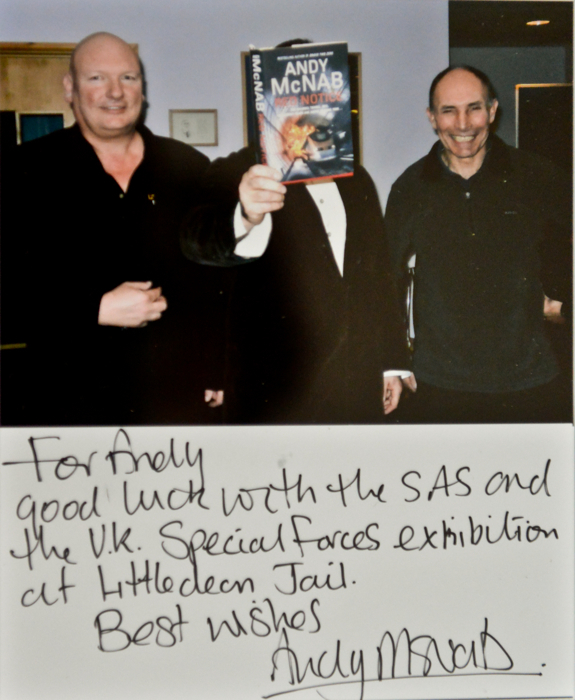 Andy McNab, Chris Ryan and Bravo Two Zero feature here at The Crime Through Time Collection at Littledean Jail within our SAS Who Dares Wins Counter Revolutionary Warfare (CRW) exhibition, so if you are in the area please do drop by and pay a visit . 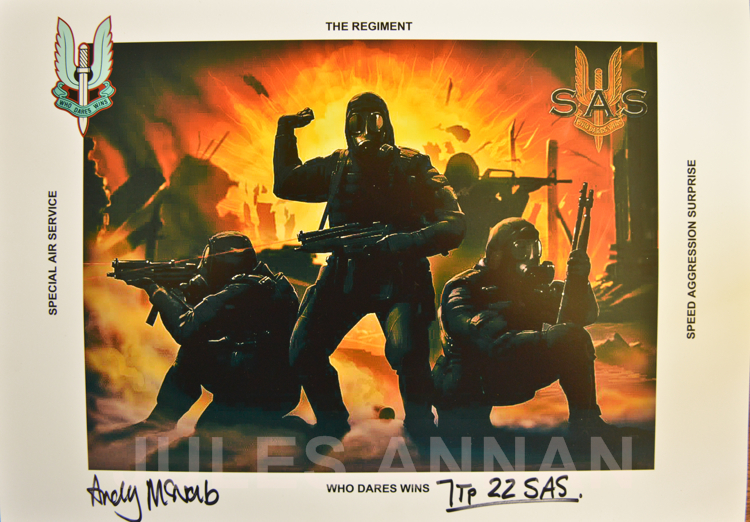 AN INTERVIEW WITH SAS HERO ANDY McNAB ABOUT BRAVO TWO ZERO. (Bravo Two Zero patrol members. 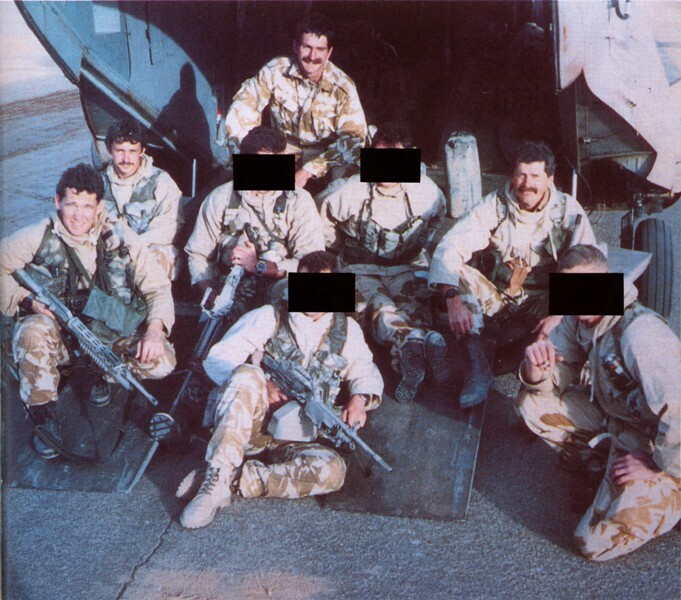 From left to right: Ryan, Consiglio, MacGown (obscured), Lane, Coburn (obscured), McNab (obscured), Phillips, Pring (obscured). 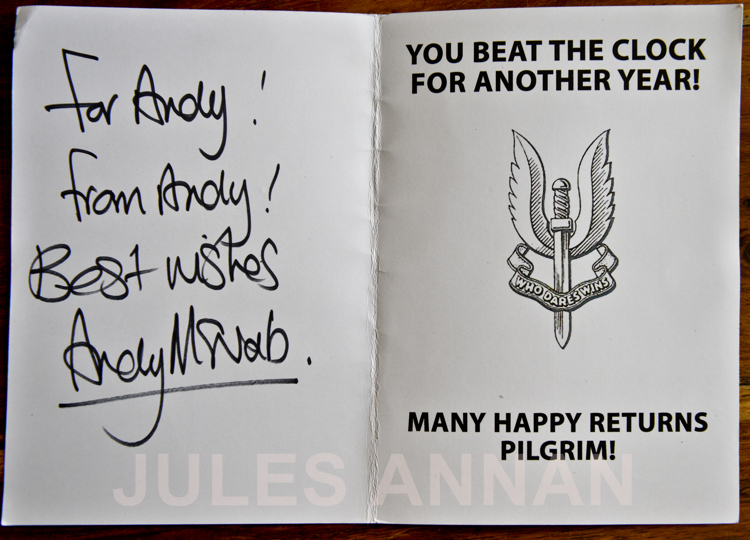 .Lance Corporal Ian Robert “Dinger” Pring former Parachute Regiment. Captured by the enemy, later released. 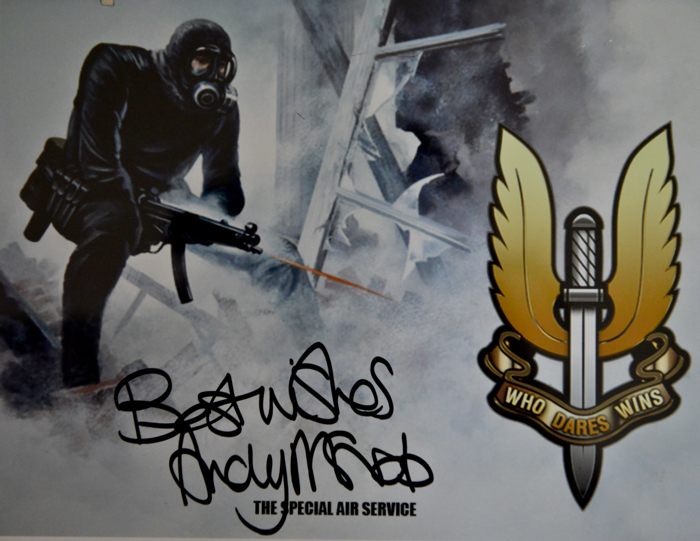 Trooper Robert (Bob) Gaspare Consiglio, MM (posthumous) former Royal Marine or Parachute Regiment. Killed in action, 27 January 1991. Trooper Steven John “Legs” Lane, MM (posthumous) former Lance Corporal of 9 Parachute Squadron, Royal Engineers and former Parachute Regiment. Died of hypothermia during action, 27 January 1991. 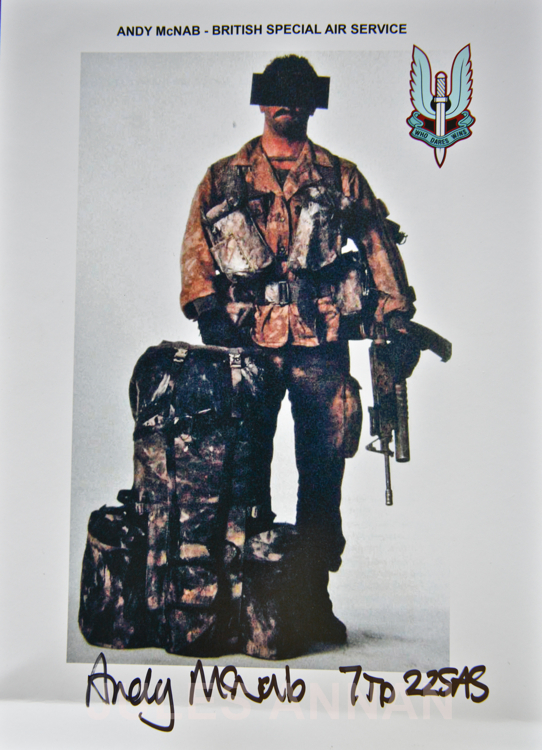 Trooper Malcolm (Mal) Graham MacGown, BDSc former Australian 1st Commando Regiment. Captured by the enemy, later released. Referred to as ‘Stan’ in the books. Trooper ‘Mike “Kiwi”Coburn’ (pseudonym) former NZSAS Captured by the enemy, later released. 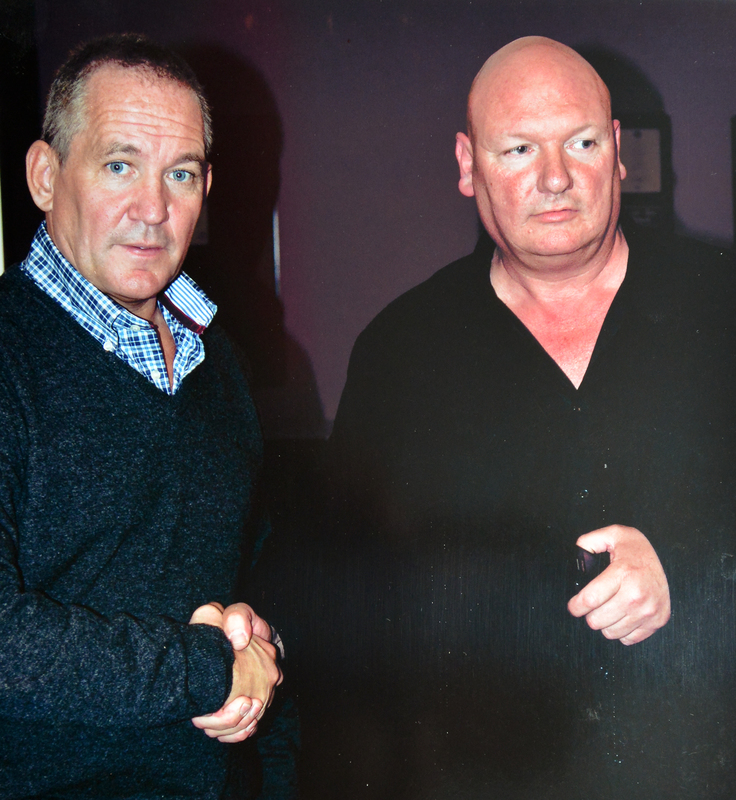 Author of Soldier Five (2004). Referred to as ‘Mark the Kiwi’ in the books. 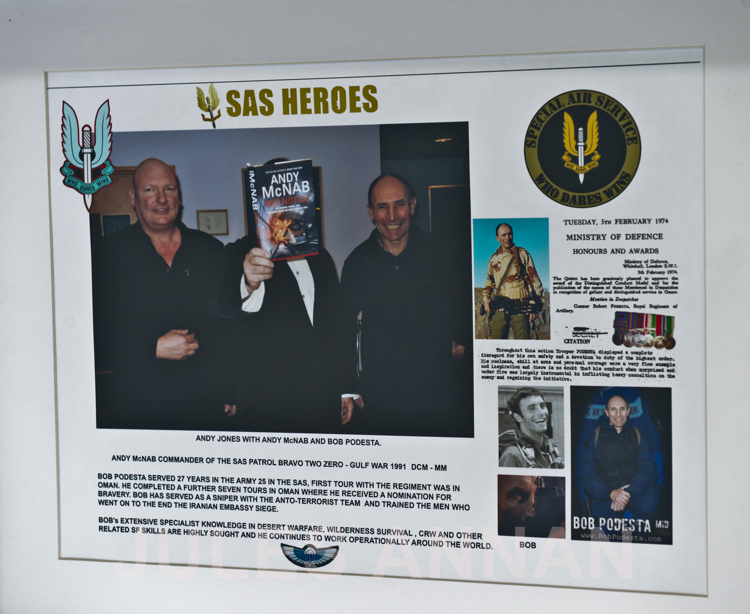 BELOW IS A BRIEF GALLERY OF SOME OF THE PERSONAL CONTRIBUTION ITEMS FROM ANDY McNAB , CHRIS RYAN AND OTHER SAS MEMBERS NOW ON DISPLAY HERE AT THE SAS EXHIBITION WHICH ARE FEATURED IN AND AMONGST VARIOUS OTHER BRAVO TWO ZERO RELATED EXHIBIT ITEMS .